Some members of the media left last week’s press event with review samples of Apple's new iPhone XS and XS Max in tow. They’ve been tinkering with them non-stop in the lead-up to today’s embargo lifting and now we get to see what all the fuss is about. The iPhone XS and XS Max follow in the footsteps of S-year iPhones -- they're faster, with better camera hardware that will make everyday photography more professional-looking. But except for dual SIM support, there isn't a brand-new feature like Touch ID or 3D Touch this time. And, unlike past camera differences between the smaller and Plus-sized phones, the XS Max and XS are spec-identical. You're only choosing between "large" and "extra large," and the bit of battery and extra screen real estate that come with it. 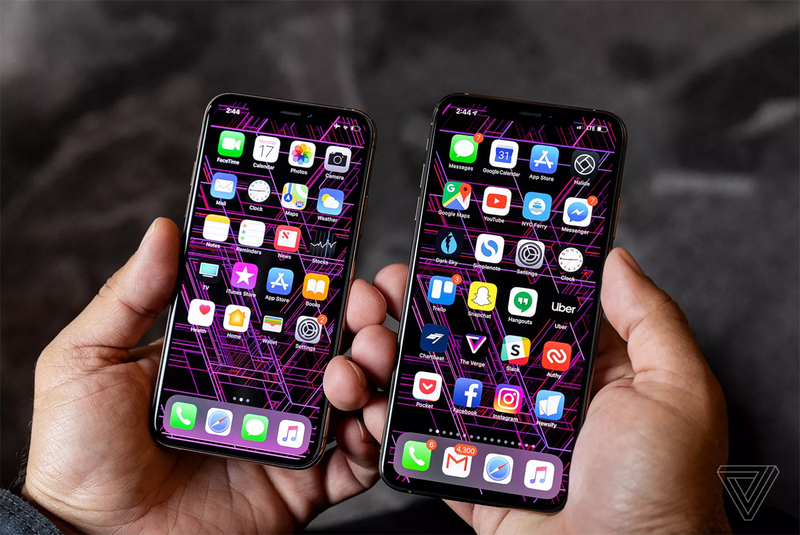 At the same time, the XS Max’s size gets away from it. The large bezels on the older Plus phones mean the top of the display is actually lower on the phone, making it easier to reach. To pull down notifications or Control Center on the XS Max, you have to reach the very top of the device. I have big hands, and I basically can’t do it without tipping the phone over in my hand; I ended up having to use two hands most of the time. You can use Apple’s reachability feature to pull down the UI and then swipe, but that’s two swipes for one thing, and it just makes me a little sad. The XS Max also doesn’t really do a ton in software to take advantage of that big display: no extra row of home screen icons, or picture in picture for video. Some apps that haven’t been updated look a little broken right now, particularly Instagram. Everything else is mostly just bigger; apps like Slack and Gmail and Twitter show you the exact same amount of information as the smaller XS. If you think big things are funny (they are) check out the size of the status bar when you pull control center down. AT&T WIFI, it bellows at you: THE TIME IS 4:12PM AND YOU HAVE 68 PERCENT BATTERY. I giggle every time, just as I did with the original Plus phones. Before we even get to the benchmark scores, it's important to note that Face ID is faster on the iPhone Xs and the iPhone Xs Max than on the iPhone X. That's because of improved algorithms in iOS 12 and the speedier A12 chip. It's just a half-second difference or so, but it's noticeable, and I appreciate being able to unlock my phone faster than on last year's iPhone X. 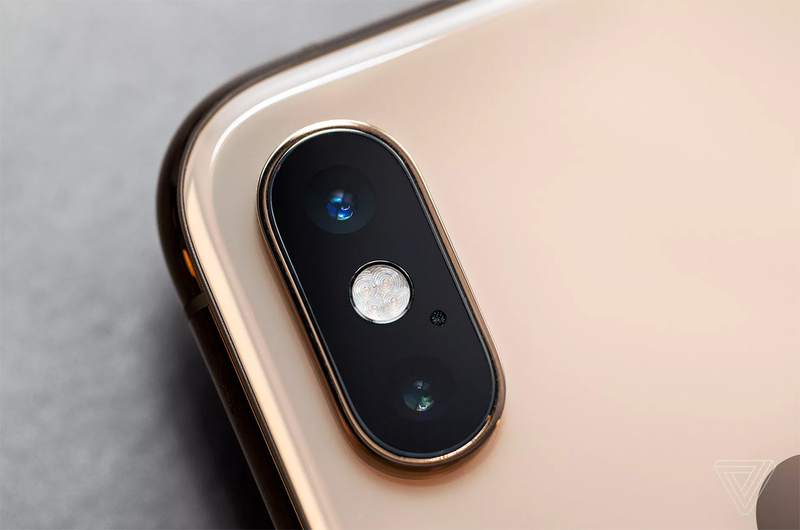 The iPhone Xs and the iPhone Xs Max also shined in other real-world tasks, such as video editing. It took Apple's phones just 39 seconds to transcode a 2-minute 4K clip to 1080p. The Galaxy S9 took 2:32, and the OnePlus 6 finished in 3:45. How about opening apps? 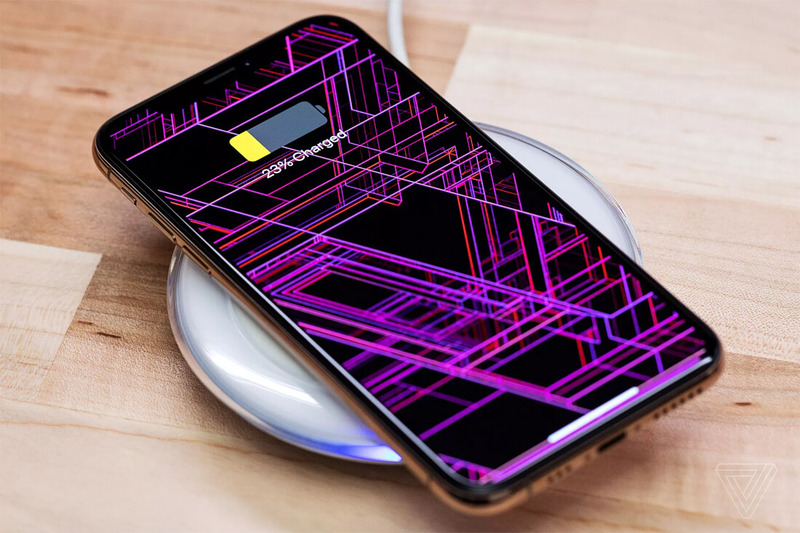 The iPhone Xs took 20.8 seconds to open Fortnite, 4.9 seconds for Pokémon Go and 6.17 seconds for the Asphalt 9 racing game. The Note 9 was slower across the board at 35 seconds, 7.2 seconds and 9.1 seconds, respectively. The older iPhone X was also slower than the iPhone Xs at 26, 7.2 and 10 seconds for the above apps. On Geekbench 4, which measures overall speed, the iPhone Xs Max scored 11,515, while the iPhone Xs hit a slightly lower 11,420. Those scores smoke the fastest Android phones around, including the Snapdragon 845-powered Galaxy Note 9 (8,876) and the OnePlus 6 with 8GB of RAM (9,088). To test graphics performance, we ran 3DMark Slingshot Extreme, and the iPhone Xs Max scored 4,339 and the iPhone Xs hit 4,244. Both of those numbers are below the Galaxy Note 9's 4,639, but they're a lot higher than the 2,227 turned in by the older iPhone X. In a separate graphics benchmark that has a more intense workload, GFX Bench 5, the iPhone XS Max crushed the the Galaxy Note 9. Apple's phone scored higher Aztec Ruins test (1,604.7 frames to 851.7 frames) and on the Car Chase test (1,744.44 frames to 1,103 frames). Apple has also improved the portrait mode feature by letting you adjust the depth of field and "artful" background blur, after you shoot, even on the front camera. While Apple is not the first company that lets you change the blur effect after the fact – some Galaxy’s have had the feature for a while – its presence on the new iPhones is welcome, just the same. Nearly every image you shoot on an iPhone XS or iPhone XS Max will have HDR applied to it. It does it so much that Apple has stopped labeling most images with HDR at all. There’s still a toggle to turn Smart HDR off if you wish, but by default it will trigger any time it feels it’s needed. And that includes more types of shots that could not benefit from HDR before. Panoramic shots, for instance, as well as burst shots, low light photos and every frame of Live Photos is now processed. The results for me have been massively improved quick snaps with no thought given to exposure or adjustments due to poor lighting. Your camera roll as a whole will just suddenly start looking like you’re a better picture taker, with no intervention from you. All of this is capped off by the fact that the OLED screens in the iPhone XS and XS Max have a significantly improved ability to display a range of color and brightness. So images will just plain look better on the wider gamut screen, which can display more of the P3 color space. Before I go on, we should talk about cost. Like last year’s iPhone X, the iPhone XS starts at $999 for a 64-gigabyte model. The price jumps up to $1,349 for a version with 512GB of internal storage. The iPhone XS Max starts at $1,099, and goes up to $1,449 for the 512GB configuration. A lot of people will make the argument that these powerful mini-computers are worth the inflated cost, especially since it's something you use all day every day. I think those arguments are valid. But a thousand dollars for a phone is also a huge expense for the majority of the population. You could hardly be blamed for choosing more affordable options like an older iPhone or a mid-range Android handset, even with the knowledge that you're not getting the best-of-the-best internals. And if you weren’t already annoyed by the price, this might send you over the edge: Neither the iPhone XS nor the XS Max ship with a lighting-to-3.5mm adapter in the box. 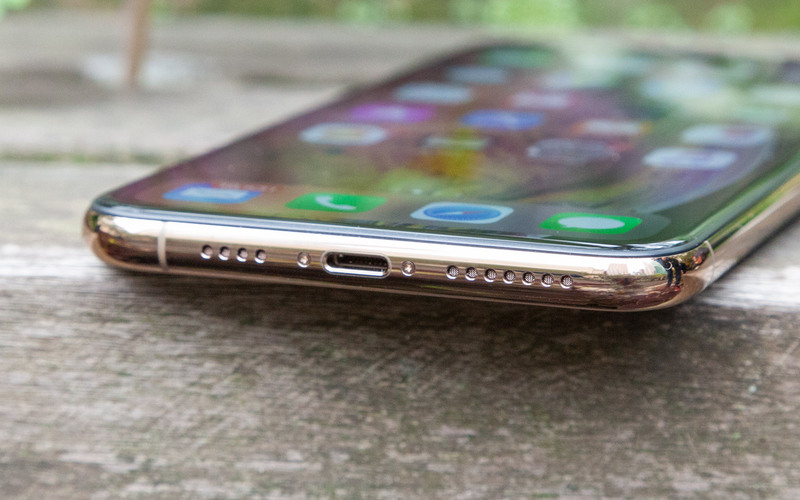 You might recall that iPhones don’t have headphone jacks anymore. So, if you still used wired headphones, you’ll have to buy your own dongle for them. And the phones still ship with USB-A cables, even though modern MacBooks use USB-C. These are small things, but it’s hard to imagine the Apple of even just five years ago forcing such tradeoffs onto its customers. Both the iPhone XS and XS Max are great phones, fantastic refinements and incredibly promising hubs for your super-connected universe. As you'd expect, they're the best iPhones at the moment. But here's the twist: That third new iPhone, the iPhone XR, may be the best pick for anyone upgrading from any iPhone other than the 2017 iPhone X. 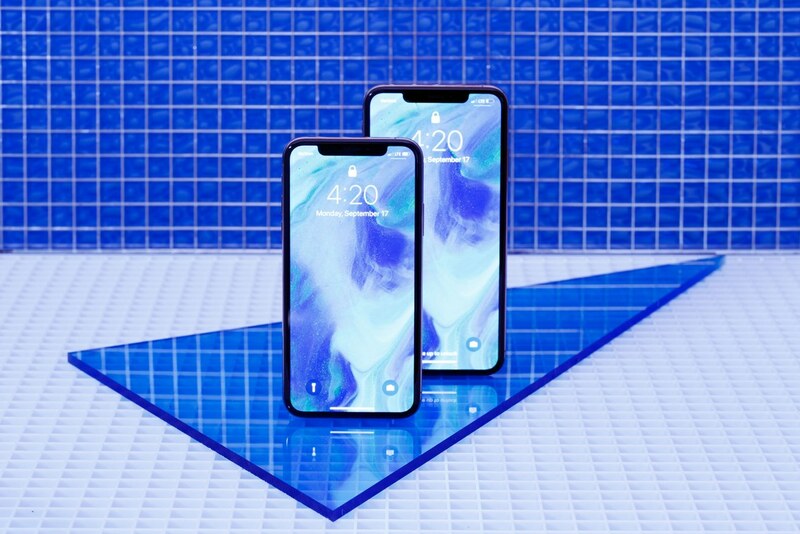 It has many of the same features as the XS, but with a larger yet lower-resolution 6.1-inch LCD screen compared to the XS, and -- according to Apple -- better battery life. And it's $250 cheaper to start -- only $50 more than the iPhone 8's starting price this time last year. Unfortunately, we can't review the iPhone XR for a few more weeks -- it won't be released until Oct. 26 -- and that's why we think you should wait before getting any new iPhone. Look, these are the best phones Apple has made, but this was very much an "S" year, as you can tell by the modest upgrades. If you have an old iPhone, like an iPhone 7, and want the best new iPhone, you should upgrade to the XS, or the Max if you want a giant screen. You might even consider upgrading if you have an iPhone 8 or iPhone 8 Plus, since Apple is clearly moving away from the home button and these offer better cameras, stronger glass panels, faster processors and more. But if you have an iPhone X, you don't need these new phones. If price is a concern to you, then you really should wait to see what the iPhone XR is like. I only had a chance to spend a few minutes with it after Apple's keynote, but it has the same processor and seems to still have a really good camera, just without things like the hardware zoom lens. It starts at $749, comes in five colors and has a 6.1-inch screen that's larger than the iPhone XS. It's an LCD display, like the iPhone 8 and earlier, which is still fine but just not as good at showing colors and dynamic range as an OLED screen. How would like to be holding a crappy discontinued iPhone X that cost $1,000+ right about now? They are nice and all, but I just don't feel the need to upgrade anymore. Not until the new devices have compelling new features. 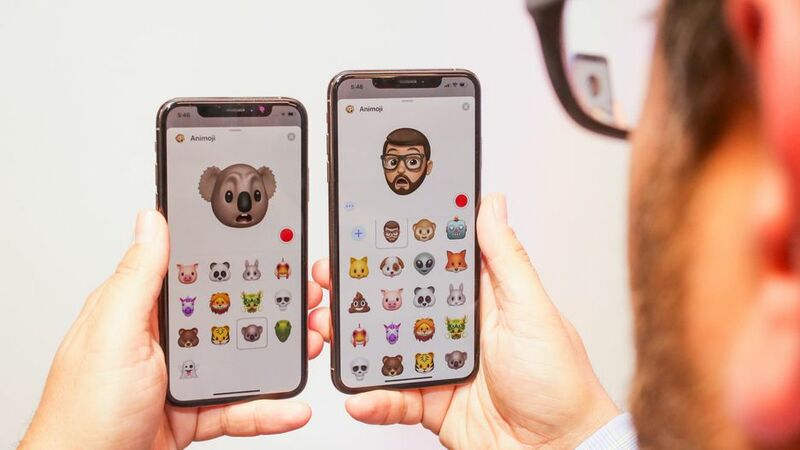 The Xs is just incrementally better with no game changing features. My Note 5 works fine still. Essential Phone review round-up: good, but not quite "essential"